Congratulations! You are getting married and like all brides, you want to make your wedding as perfect as you possibly can. How successful your wedding is going to be will depend on the choices that you make. From your guests, entourage, wedding gown and services that you need for your wedding, you need to make the right decisions. This can be hard especially if you are handling the preparation of the wedding on your own. Planning everything on your own is fine as long as you have ample time to do it. If not, then you will surely have a harder time to come up with a wedding you will remember fondly for your whole lifetime. The caterer that you can hire for your wedding can actually make or break your event. 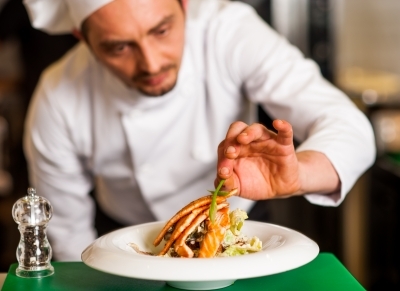 Can you imagine if the caterer you hire will be late in serving the food that you need? This can make your guests annoyed. It will make you angry too because you know that your guests are not having a good time. Even if the rest of your wedding do not turn out the way that it should be, good food can always save the wedding in the view of your guests. If you take a look at the different caterers that offer wedding catering services, you may become confused in the beginning because they all seem to offer the same things. The prices though may be very different. Search for a wedding caterer that is responsive – If you contact the wedding caterer, make sure that they are always available to answer your inquiries. This means that they would like to serve you. 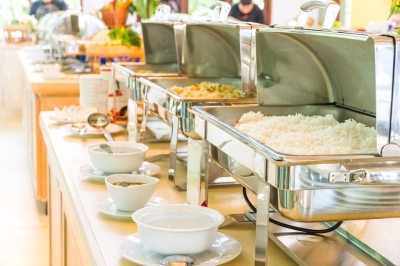 If you communicate more with the caterer you can also check if the caterer takes note of your needs. If not, then there are others that are worth checking out. Know if the catering company specializes in weddings – There are some caterers that can only handle birthday parties based on the food that they serve. There are also some that can only offer their services to small events. Find one that is well known for giving their food services to weddings. It will help you narrow down your search. See their menu options – The food that you are going to serve in your wedding should reflect what you love and what you think your guests would love. If the menu of the caterer is very limited then check out the menu list of others. Find a caterer that gives food tasting services – You do not want to just trust your caterer and assume that the food is going to be good. You have to taste the food first to be sure. All caterers should give this because it will make you sure and confident about your caterer choice. The catering services of the company you want to hire should be reviewed positively by past customers. The more positive reviews available, the more chances that you will be satisfied with the services they can provide on your actual wedding day. This entry was posted in Food business, Occasion and tagged food catering business, food catering for wedding, ideal catering company for wedding on May 18, 2017 by Yami. 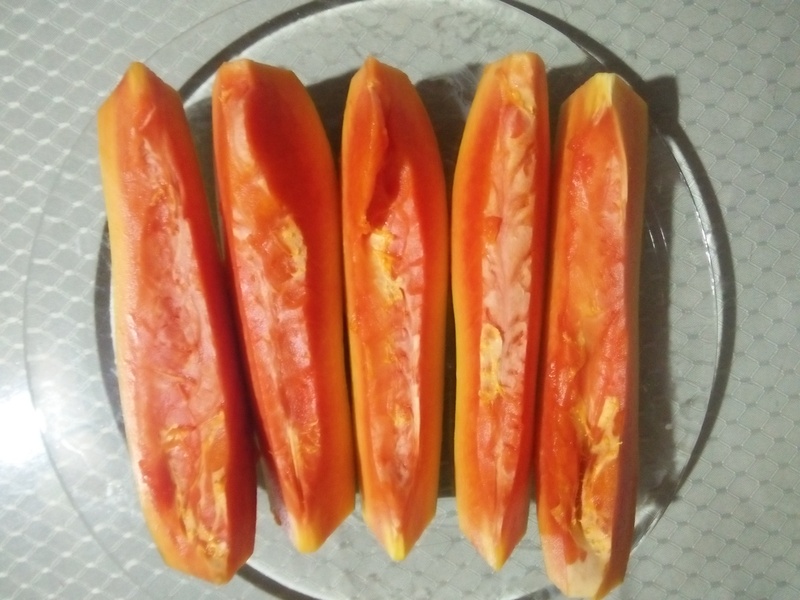 We’ve been harvesting organic papayas from our backyard since early this year. They are seedless and sweet. Thanks to my SIL for planting the tree(s). 🙂 Besides papaya, we also have some Indian Mangoes and calamansi fruit. I remember posting them here and here. 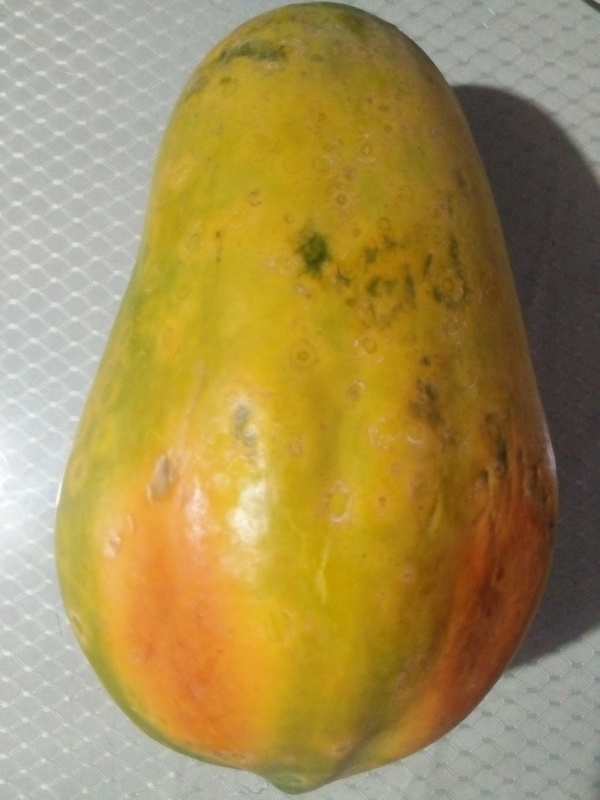 This entry was posted in Fruits and tagged backyard fruit-bearing tree, backyard planting, fresh papaya fruit, ripe papaya on May 5, 2017 by Yami.